Whitney Stone, a fifth-year member and color guard captain of Carolina Crown, sent this photo. This photo was taken at the Winter Guard International World Championships in April. We were lucky enough to have some time to hang out with each other during the World Class Prelims. 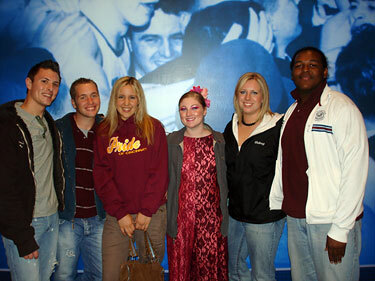 These are a few of the 2006 Crown members that were around (left to right): Jeff Cash, George Furlipa, Christina Rutan, Alexa Ramirez, me and Herbert Washington. Can't wait for another amazing summer with you all and the rest of Crown!